Dario mentioned he has some material from AVID loudspeakers in Rhode Island. Does anyone know more about this company? How long were they in RI? Does AVID deserve a forum of its own, or should I make an "Other" forum in the New England category for AVID, Genesis Physics, Bozak, and any other low-traffic forums? 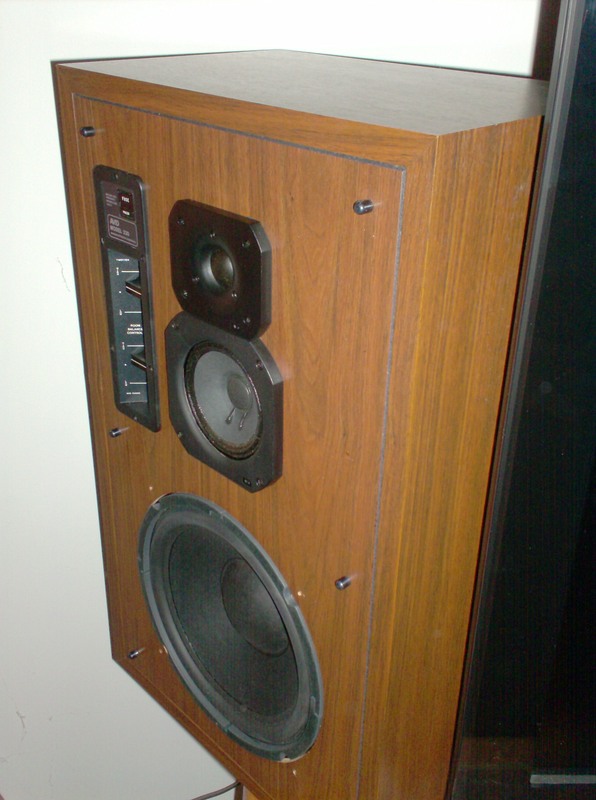 Avid Corporation of E. Providence RI offered a series of high-quality acoustic suspension bookshelf loudspeakers in the early thru late 1970’s. If I remember correctly, their initial offerings consisted of the model 100 8” 2-way, the model 102 10” 2-way, and the model 103 10” 3-way. Later, towards the late’70’s, they intro’d the ‘M’ series,a low-diffraction design. The top-of-the-line M-330 was a fair bit bigger than the AR-3a, and featured some very creative thinking. 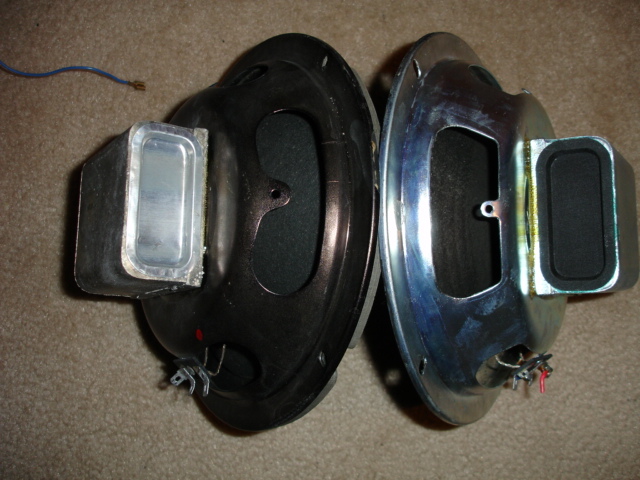 One feature in particular stood out: the dome midrange and tweeter units were surface (not flush) mounted to the speaker’s baffle; The grille frame was solid MDF, with cutouts for the mid and tweeter of the exact diameter and depth of the drivers’ frames. The result was that when the grille was in place, the mid and tweeter were exactly flush with the front plane of the grille, so there was no diffraction from grille molding or cabinet obstructions at all. A recent series of Paradigm speakers featured the same grille design, which just goes to show you that in speakers, what’s old eventually becomes new again. High Fidelity reviewed the M-330 in Mar ‘79, and found it to be fairly good, but not great. HF’s review of the $79.95 ea. Model 100 in Aug 74 was considerably more enthusiastic, and HF opined that the 100 was a truly outstanding speaker in its size/price class. 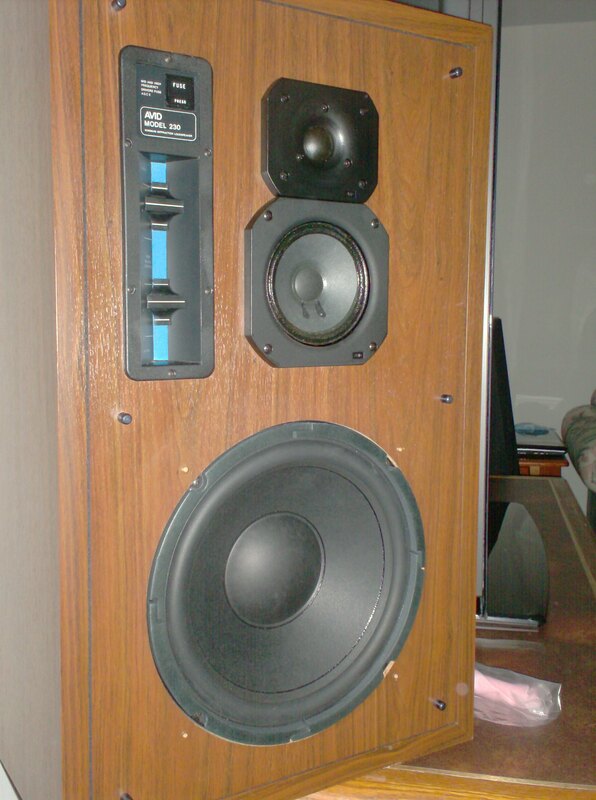 I heard the Avids(100, 102, 103) at various Boston-area consumer hi-fi shows while in college in the early-mid 70’s and always thought they were good-sounding speakers. I never heard the M-330, but was always intrigued by its use of dome MR and HF drivers, and its AS design. It was $400 ea. In 1979, a not inconsiderable price at that time, to be sure. During this time period, Avid also supplied passenger headphones (remember those old ‘air-driven’ units?) to the airline industry. 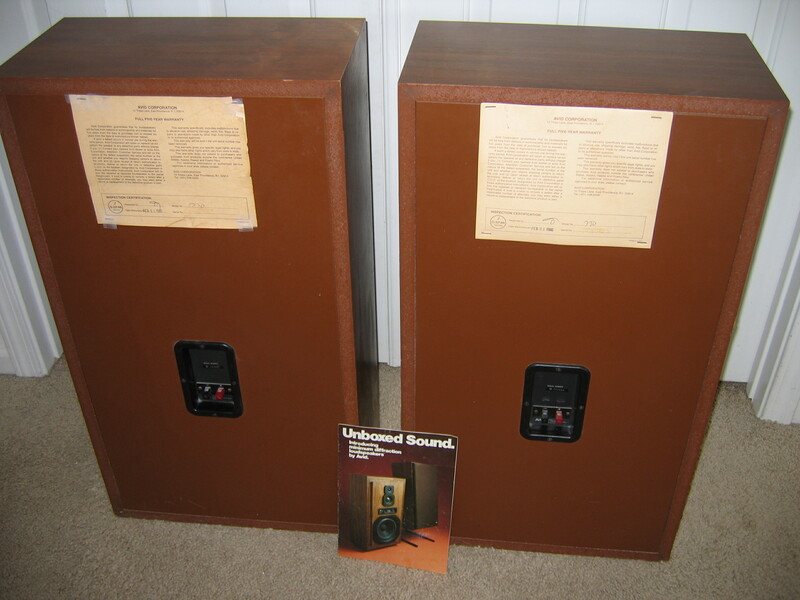 I believe that commercial audio was their main business, and that speakers were something they delved into because of the profit/growth potential of the ‘70’s consumer audio market. Another factoid about Avid: Moses Gabbay was an engineer there during the time of the 102-230-330 speakers. He then went to AR around 1977, and of course came to BA in 1980 or 81, where he directed BA’s engineering and production departments during their phenomenal 20-year growth period. He eventually became President of BA, serving until illness hastened his retirement in 2005. 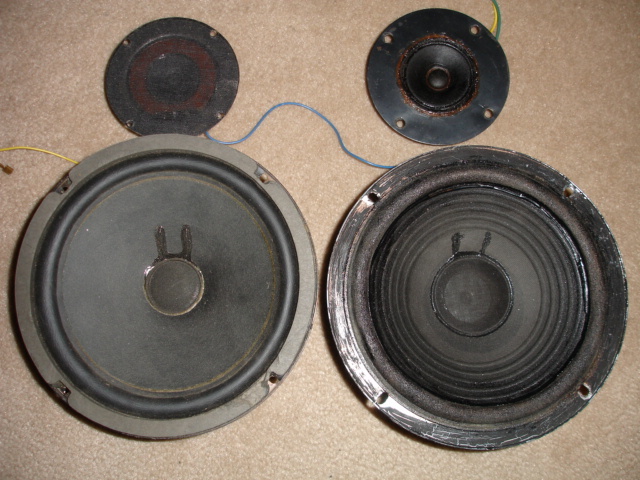 The 70’s were certainly a fascinating time in the US speaker market. Another Avid-like company was Audioanalyst (located in southern CT), who also offered a series of high-quality acoustic suspension speakers. Their A-200 4-way floorstander was a very good product. As a guest at a small gathering back in the 70's, I remember being impressed to the point of asking the host what speakers were being used in the system playing in the background. They turned out to be Avid 103's. 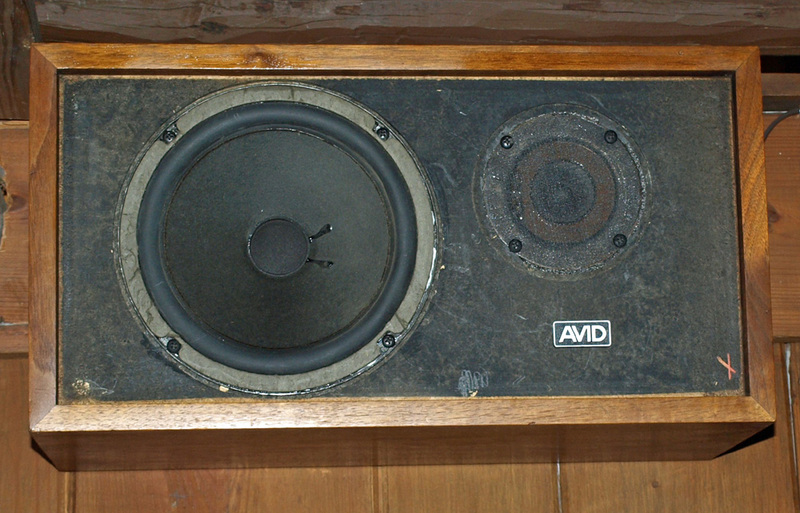 I had several brief opportunities to listen to Avids again, and always came away thinking they were quite good (AR speakers being my personal reference standard.) I would have purchased a pair if I had liked their appearance more. Recently I was able to acquire the guts of a pair of 1977 vintage Avid 100's. The drivers are VERY similar to the AR-4x, are physically, and very nearly electrically, drop in replacements for the 4x drivers...in fact MUCH more so than any currently sold AR "replacement" driver. Both the woofer and tweeter are actually better constructed than either 4x counterpart (but they are almost 10 years newer). The Avid crossover is simpler, with no woofer inductor, and a much lower value cap on the tweeter, which is controlled by a 3 position switch. Below are 3 photos comparing the Avid 100 and AR-4x drivers. Many, many fans, but probably few owners. I remember listening to some Avids long ago that were very nice. I wish I could find a pair to have now. Glad to see they have their own forum. Hi All; Just found this site while searching for information on a set of Avid 230's I've owned since 1979. I bought them new for around $450.00 CA and found them be an excellent speaker for the money. Unfortunately, they blew out their foams and I replaced the bass drivers with another set. The new speakers didn't protrude like the originals so as to sit flush with the speaker covers. Otherwise they are in excellent physical condition and are being used as the left and right speakers of my home theater setup. I am using a set of, same era, KEF 105's for my two channel audio rig. 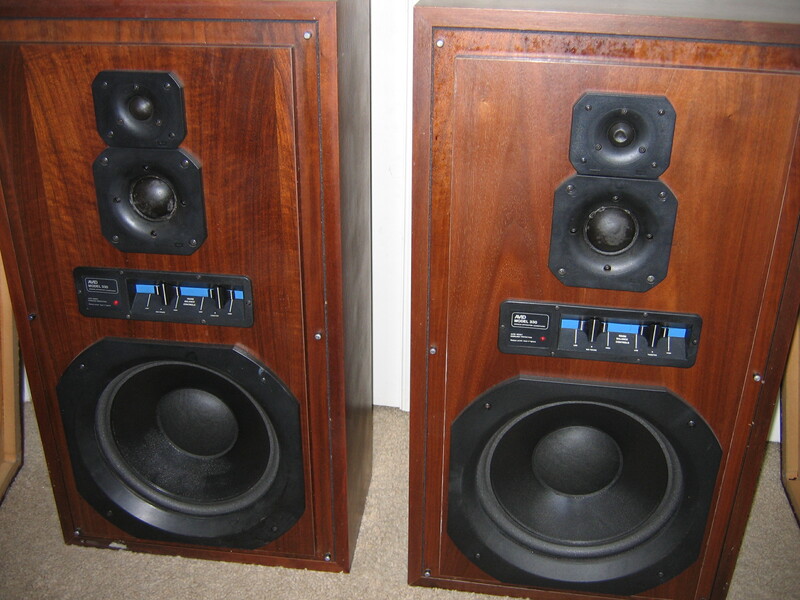 Nice to see a site interested in these rare speakers. The pursuit of perfection in listening is not a new venture at Avid. For more than 20 years, we have pioneered in the development and manufacture of quality audio components for educational, commercial and industrial application. And for the past five years we've been vigorously involved in teh hi-fi loudspeaker business. From the first, Avid's philosophy has been simple and straight-forward... to provide, at a reasonable cost, products that deliver the ultimate in listening performance and overall reliability. This total commitment to quality has shaped the standards of design zealously adhered to by the company. Since their introduction in 1974, Avid loudspeakers have consistently garnered enthusiastic critical accalim. For the past two years all of us at Avid have been working behind the scenes to make good even better. The result is the new line of acoustically integrated, minimum diffraction loudspeakers described on the pages that follow. We sincerely believe that these totally integrated systems represent a signigicant advancement and provide more listening enjoyment for the dollar than has ever before been possible. The purpose of a high fidelity component system is to reproduce the original source as faithfully as possible. At Avid, we're strongly dedicated to the beliefe that the loudspeaker, like all other parts of teh system, should restate its input signal as accurately as possible. Believe it or not, there are companies that manufacture loudspeakers taht purposely enhance sound. They add bass, color mid-range, even peak highs for a more "saleable" sound. That is not, and never will be Avid's way. There are five models in Avid's new minimum diffraction loudspeaker line. The Model 80a and 102a are improved versions of the most popular bookshelf models from our critically acclaimed Series 100 line. The 110, 230 and 330 speaker systems are totally new designs incorporating newly developed Avid drivers and crossover networks. Each model is a totally integrated acoustical system in the truest sense of teh word. A natural result of this careful engineering commitment to accuracy is the striking similarity in the tonal balance and performance between each model. Each has the same kind of sound, clarity, low distortion bass, and overall accuracy that has earned Avid great praise in the industry. This, coupled with the new sense of spaciousness and realism made possible by our totally integrated minimum diffraction system desing, makes Avid a must consideration for most serious listeners. We sincerely believe that the degree of accuracy and openness achieved by each model is unsurpassed in its price range; and, in fact, often is comparable to competitive systems costing considerably more. Since their introduction in 1974, Avid loudspeakers have proven to be exceptionally reliable. In an industry where it is not uncommon to find failure rates in excess of 5%, Avid warranty repairs rate has been less than 1/2 of 1%. Not only are Avid minimum diffraction loudspeakers build to last, but they will continue to perform at the same high level for years. Our efficient drivers have excetionally high power handling capability. Where appropriate, extra protection is provided against accidental overload. Models 102 and 230 are fuse protected. The Model 330 contains a unique Avid engineered Auto-Reset Protective Circuit that continually monitors input to each driver and automatically shuts the system down if an overload occurs. Avid's unique, Q-Span testing program ensures that the speaker you purchase meets or exceeds published specifications and is a perfectly matched system. It is the most comprehensive testing program we know of in the industry. "Frequency response charts are run on every loudspeaker manufactured"
The workmanship and performance in normal use of all Avid loudspeakers are warranteed for five years from the date of purchase (not to exceed six years from the date of manufacture). This "full" warranty is the strongest available and covers freight costs to and from the factory or nearest authorized service center. Free packaging is provided at no charge. *Warranty may vary outside Continental United States, Alaska, Hawaii and Puerto Rico. The booklet/pamphlet also talked about "The Problem. The Box", "Cabinet Diffraction", "The simple Solution", which includes talk on Coupling Devices, Solid Front grille panels and rolled-edge grille design, and, it also included a little blurb about "A Word about Phasing and Time-Delay"
I hope this helps with any questions anyone had about Avid. With a LOT of help from Roy, I just modded my original AR4x's (bought new in 1969) with Avid 100 drivers. As Roy said, simple drop-in replacements and nicer construction. Why not use the original Avid cabinets? 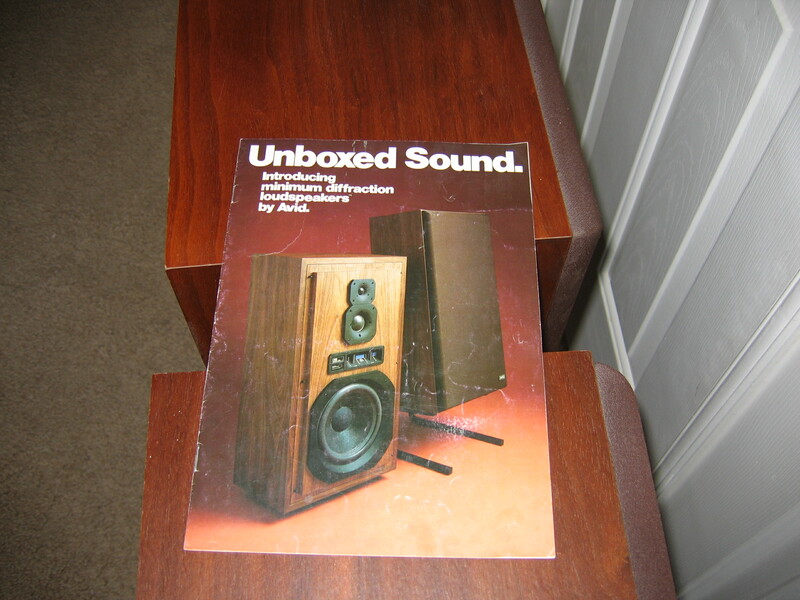 The plague of the '70s--"wood grain vinyl"
Finished the job with new Irish Linen cloth as described in the AR3a manual. New metal logo plates from Vintage AR replaced the tarnished originals. 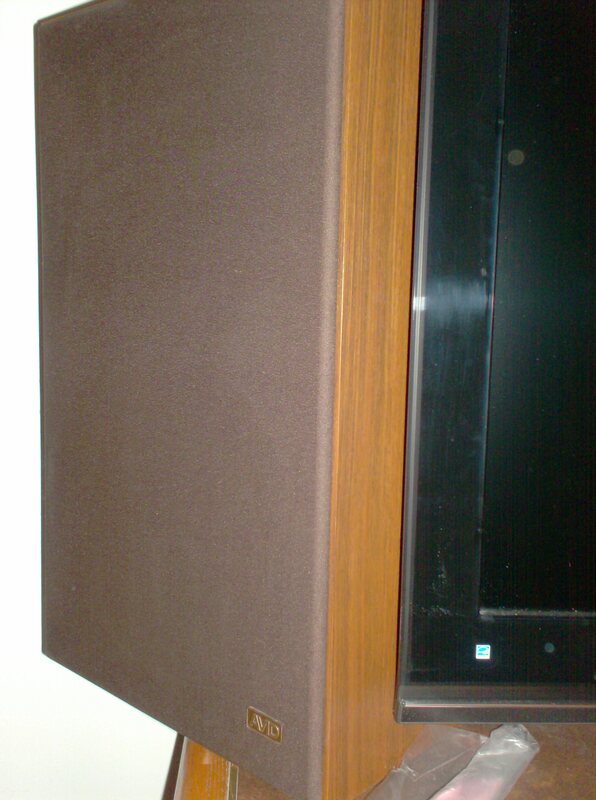 I had just one plastic AVID logo, so it's glued to the baffle to show the true nature of these speakers. Initial listening seemed to show more/lower bass and more high-end detail than the 4x (mine were previously restored, with new L-pads and Zen caps). More listening within the next few days. You are very welcome! I'm still hearing rave reviews from the folks who I have performed this modification for. 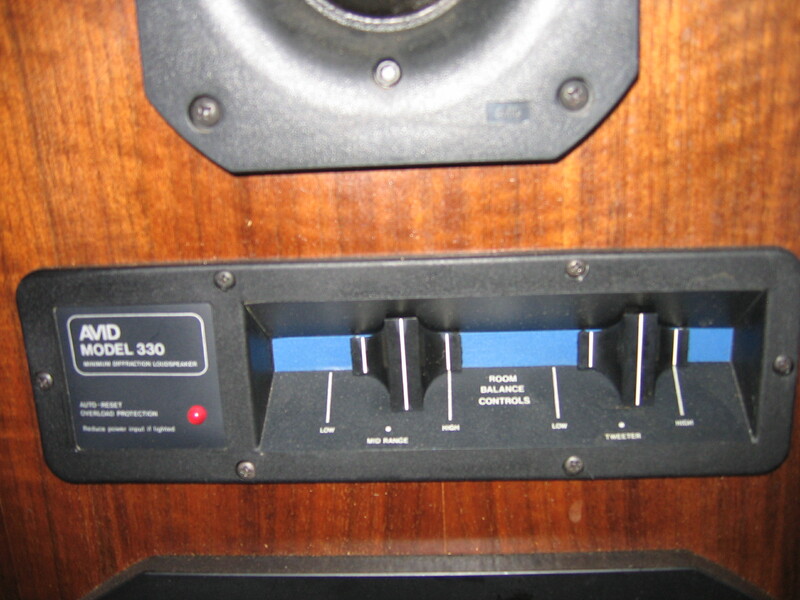 IMO, late 70's Avid systems are the hidden gems of the "classic" speaker world. 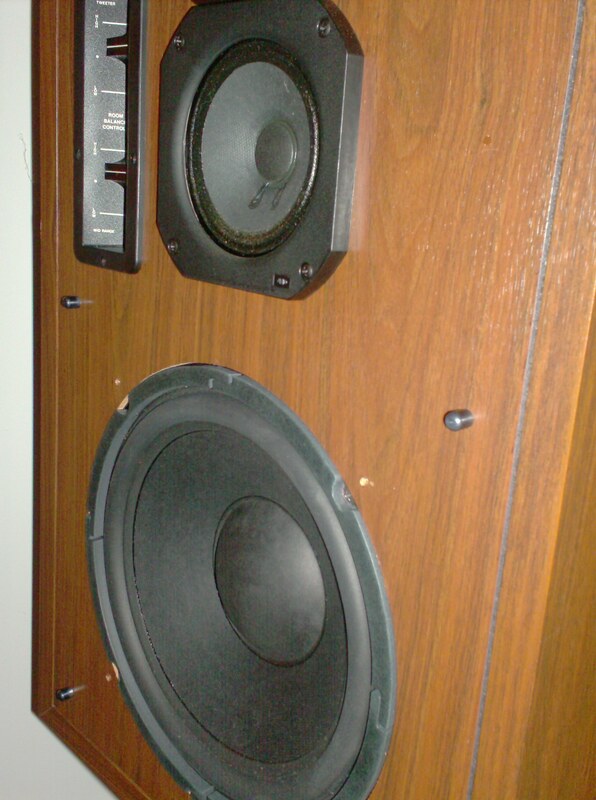 I worked at a contract speaker box manufacturer in Lawrence MA the summer of 1974 as a college kid. We did a lot of wood grain vinyl rectangular boxes, mostly for Advent, and did a sample run for Avid, and I remember driving the truckload down to East Providence and unloading while they inspected and tested them out. The company was just getting their consumer line going then. Thanks for forcing me to remember that experience! Hope you'll find helpful people here. Maybe YOU can help clear up the mysterious maker's marks inside some vintage speaker cabinets! We all tried to personalize the cabinets when the QA inspector wasn't looking that closely, I could inspect an Advent box and tell which ones I had cut out the terminal block on the rear. Advent was sending a lot back after failing their own QA inspection and that was the end of the personalization. We took the failed cabinets and broke out the front piece and used them as a cube style book case in my college dorm room among other uses. 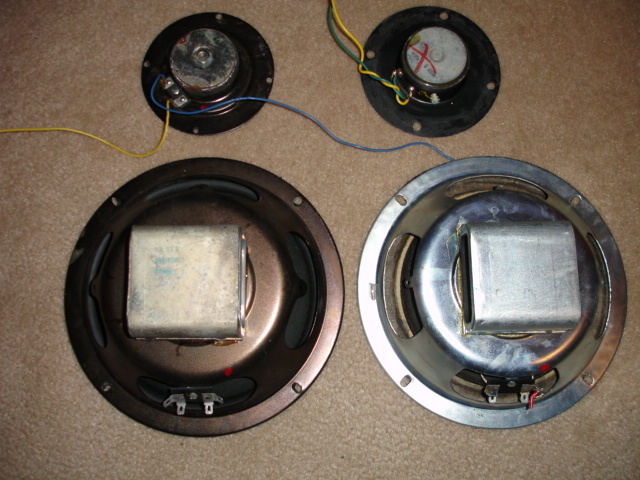 If you don't want to DIY you could send the woofers to Bill LeGall of Millersound in PA for expert repair work http://www.millersound.net/ . Or contact CSP member RoyC--he may be wiling to do the work.